Legendary pop duo Hall & Oates announce first UK tour in five years. 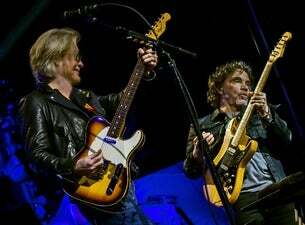 Daryl Hall and John Oates return to the UK in April 2019 with dates in Birmingham, London, Manchester and Glasgow and you can secure your tickets early. Grab your tickets when our presale opens at 10:00 on Wednesday 5 December 2018 and be there to see hits including Kiss On My List, Private Eyes, Maneater, Out of Touch, You Make My Dreams Come True and more.